Need to explain a complex concept to an expert audience, while subtly promoting your company or a product? A white paper is a useful tool for educating readers about the technical aspects of a solution or new technology, making a business case for a product or demonstrating thought leadership. White papers typically discuss a topic in detail, including the rationale and benefits of a solution. That’s in contrast to their close cousin, the case study, which provides real-world examples of how a solution has fixed a problem for a specific organisation. There are two main types of white papers. The first is more high level and focuses on a business challenge, potential solutions and their business benefits. The second is more technical and offers readers a deeper dive into a topic. To help you write a white paper of your own, we’ve come up with these pointers. You’ve pinpointed your topic, received sign-off from your manager and set a deadline for delivery. What’s next? key reasons for sales falling through, leads choosing a competitor’s product or leads deciding not to purchase at all. These frontline insights can be useful when you’re deciding on the topic and approach most likely to create a connection with your reader. Now you’re ready to decide on the white paper’s goal. Do you want to demonstrate thought leadership? To generate leads? Or do you want to provide qualified leads with the additional details they need to make a purchasing decision? You may want to use your white paper in different ways throughout the sales funnel. Next, decide how to achieve your goal. For example, by explaining how a technology can solve a specific business challenge. Or providing executives with the information they need to build a business case to present to their board. You then need to identify your audience. Are you aiming to reach the person who will use the product (such as a data analyst) or a decision-maker (such as a chief information officer)? If your ideal readership is in the C‑suite, it’s best to focus on business benefits rather than technical explanations. Keeping your reader front of mind can help with the writing process. Once you know what you’re writing and who for, read as much about your topic as possible, including internal documents, industry commentary and research, and material created by competitors. Identify experts, internal or external, to interview. Jot down the key points to create a rough outline for your paper. Other ideas, details and facts can be slotted in underneath these key points. You can refine this outline as you go. This is also a good time to draw up a timeline, working backwards from your final deadline, so you know what to do and when. Build in time for approvals and revisions, as well as editing and proofreading. Now you’re ready to start writing the paper or to commission a writer. provides the next step for readers. If the goal of your paper is to demonstrate thought leadership, you might start with a general discussion about a social or economic issue that provides context for an operational challenge the reader may have. Or, if the goal is to help someone build a business case to present to their boss or board, you might include tips on calculating return on investment or mini case studies to show how other companies have used your product successfully. 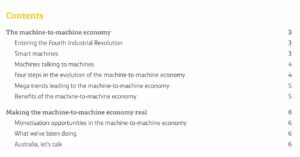 Technical papers will often include sections introducing the technology, market drivers of demand and historical context. When discussing your specific solution in this type of paper, include information on its key features, how it works and its applications. This is also an opportunity to discuss how it compares with available alternatives. What white papers often lack in length they make up for in factual density. A well-written white paper relies on well-cited facts to build its case – whether that’s proposing a solution to a problem or describing how to perform a technical task. Include quality facts, metrics and expert opinions to provide context and authority. Consider pulling out key statistics and quotes for emphasis and to provide readers with multiple entry points to the text. Also, think about infographics and tables you could use. These are great for summarising important data, showing trends and explaining timelines. They’re also useful for breaking up large chunks of copy. If you’re publishing the paper online, add links to videos and case studies. When writing, use plain English, present facts clearly and steer clear of jargon, if possible. Aim for a neutral tone – although white papers often influence executive buying decisions, reserve overt marketing messages for other mediums. 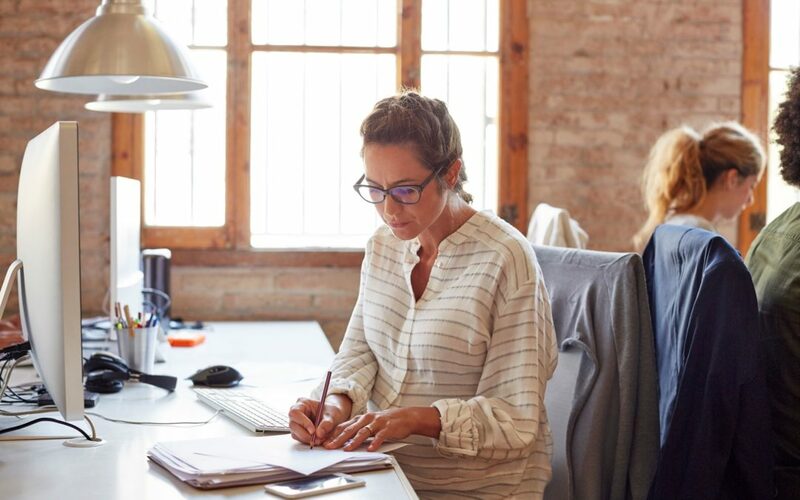 Cisco’s Networking and Your Competitive Edge white paper, for example, uses simple, clear language to explain its central idea – that leveraging your network hardware can give you a competitive edge. The report uses easy-to-understand graphics and design elements such as pull quotes to balance blocks of dense or technical content. If you need further inspiration, Tech Republic has a large library of white papers you can download. You only have a few seconds to hook a reader, which makes the title one of the most important parts of your paper. In fact, Michael Stelzner, author of Writing White Papers: How to Capture Readers and Keep Them Engaged, believes “titles make or break white papers”. A successful strategy is to focus on the benefits to the reader. Sure, you know your solution’s features are amazing, but most people just want to know what they’ll get out of using it. For example, will they save money or time? Help improve employee retention rates? Manage regulatory risk? Think about the keywords or phrases a reader might use to search for your paper online. If your paper is making the case for blending on-premises infrastructure with cloud storage, you might decide that people will be searching for ‘hybrid cloud solutions’. Consider including that phrase in your heading, as in ‘Hybrid Cloud Solutions: The Best of Both Worlds’. placing a colon between the paper’s title and subtitle, to ensure the subtitle is included when it’s listed online. Titles such as ‘Creating a Foundation for Digital Transformation’ and ‘Why you Need an Omnichannel Strategy: Creating a Seamless Customer Experience’ work because they speak to a specific problem or challenge the reader has and strongly suggest they’ll find a solution inside. Once you have a draft, enlist a second pair of eyes to help pick up any problems with your structure, as well as basic errors such as typos, spelling mistakes and missing punctuation. As always, a little bit of planning goes a long way towards improving your writing process and delivering a great result. Following these steps will help ensure you end up with a white paper that makes your case in a clear, concise and compelling way. We can help you write your white paper or add polish to an existing draft. Contact us here.